That is not quite what I was expecting at all. I figure a more modest number (15k) than 30k. Holy... that is pretty awsome! Odd, this wiki link says Edmonton beat the crap out of Ottawa 2011-2016. Has something changed? ^Well there was this little thing called the collapse of oil prices that began in late 2014. Now just as oil prices are recovering everywhere else, there is this other little thing called lack of capacity to get Alberta's oil to market which caused an unprecedented price differential and necessitated the oil curtailment program. 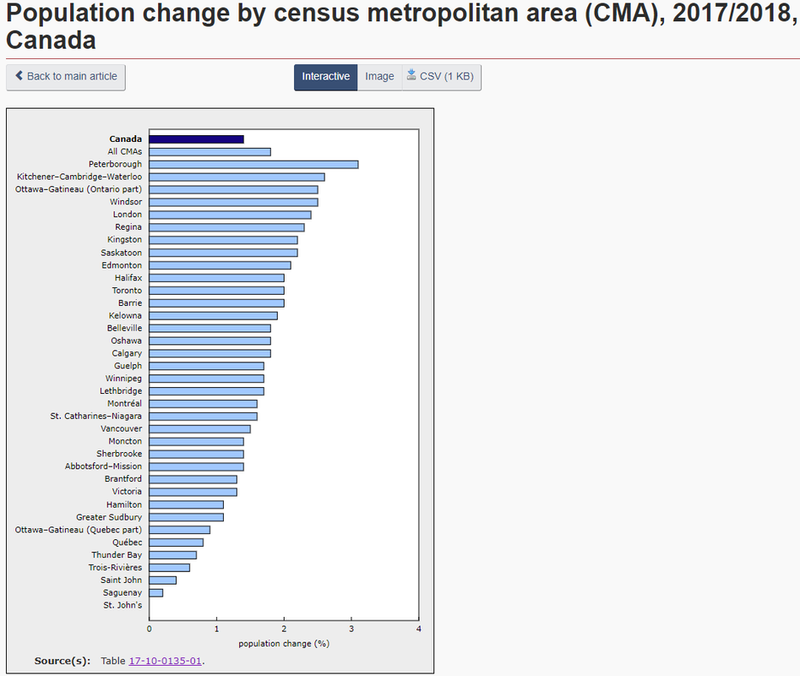 Despite these challenges, metro Edmonton is faring pretty well with a population increase slightly higher than that of metro Ottawa last year. So is Calgary which is even more deeply impacted by the oil downturn than Edmonton. This is also in stark contrast to the early 1990s during the Klein cuts when metro Edmonton barely grew in population between 1991 and 1996, and the City of Edmonton's population actually declined. Great to see growth picking up again. Ottawa can improve too., and we did outpace them considerably . Last edited by ctzn-Ed; 29-03-2019 at 03:01 PM. ^These are population estimates that take into account what is called net undercoverage in the census. The population estimates, even during federal census years, are usually higher than the actual census counts because - despite the best efforts of census enumerators - about 2 to 3 per cent of the population either refuses to be counted or gets missed for one reason or another. The federal census takes place every five years. Between censuses, Statistics Canada relies upon a bunch of different data sets (e.g. vital statistics, labour force survey data, immigration data, tax filer data, etc) to estimate the size and composition of the population.